The goal is to improve traffic in various ways. 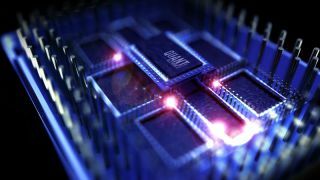 Google has teamed up with Volkswagen to carry out new research in the field of quantum computing. The two corporate heavyweights will work together using quantum computing as they try to solve complex puzzles related to the future of traffic. With that in mind, there are three projects the two companies will be working together on. First up – traffic optimisation. Through the use of quantum computing, Google and Volkswagen will work on reducing travelling times through urban traffic guidance systems, available electric charging stations or vacant parking spaces. Then, there’s the goal of improving batteries for electric cars and other electricity-powered products. Volkswagen specialists will look to simulate, and then optimise the structure of high-performance batteries. And finally, there’s the development of new machine learning processes, which is seen as essential for the creation of autonomous driving, which is then seen as the future of the automotive industry. “Quantum computing technology opens up new dimensions and represents the fast-track for future-oriented topics. We at Volkswagen want to be among the first to use quantum computing for corporate processes as soon as this technology is commercially available. Thanks to our cooperation with Google, we have taken a major step towards this goal,” said Martin Hofmann, chief information officer of the Volkswagen Group. "Volkswagen has enormous expertise in solving important, real-world engineering problems, and it is an honour for us to collaborate on how quantum computing may be able to make a difference in the automotive industry," added Hartmut Neven, director of the Google Quantum Artificial Intelligence Laboratory.